Complaining about the state of public transit in the Bay Area — especially the South Bay — is basically a regional pastime among 20-somethings around here — myself included. That said, there is one tiny sliver of public transit that is currently absolutely central to my life: the VTA's 23 bus route. When I say absolutely central, I mean it — sure, during my summer in San Diego, the SDMTS-41 was pretty critical for my weekend outings, and in Troy, the CDTA-22 would often prove useful for trips to Albany — but nothing holds a candle to the 23. I even included it in my trips map (which needs to be revised now that I've moved!). It gets me to work; it gets me home from work; it gets me to San José; it gets me to the grocery store on occasion. It gets me to Ryan and Julia's apartment, to visit them or Maeby; to both of the nearby malls; to a wide variety of restaurants; even to the Post Office (though it falls a bit short on that trip). I met my girlfriend on the 23, while going to the airport (yet another occasional destination, though there are two further transfers required to get all the way there). Now, the very same bus shuttles us between each others' apartments (literally almost door-to-door service1, every 15 minutes), on dates, and all manner of trips throughout the South Bay. We even walked a four-mile stretch along its route one day, for fun — suffice it to say we appreciate the convenience of the bus even more after that experience. I cannot even begin to imagine living a carless life in Cupertino/Santa Clara/San Jose without the 23. When I recently was forced to search for a new apartment, my sole constraint was "it absolutely must be near the 23!" 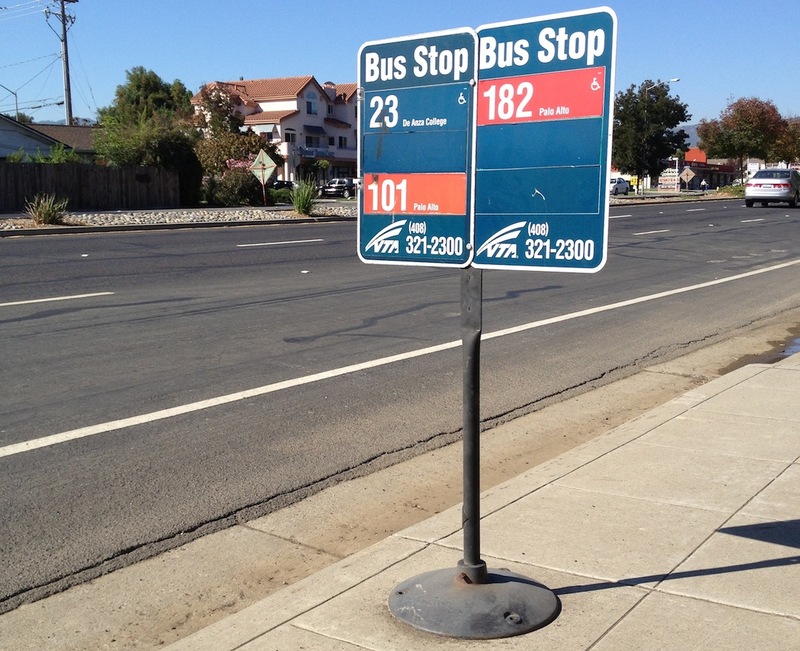 (my previous apartment was a 20 minute walk to the nearest bus stop; now, less than one minute!). So, uh... there's my ode to my beloved bus. EDIT: 91 Clipper transactions in the last 60 days, 85 of which are trips on the 23! 1 In fact, the only time the 23 leaves its straight line path along Steven's Creek/San Carlos between its westernmost point and San José is exactly where she lives. It's like the route was designed for us!